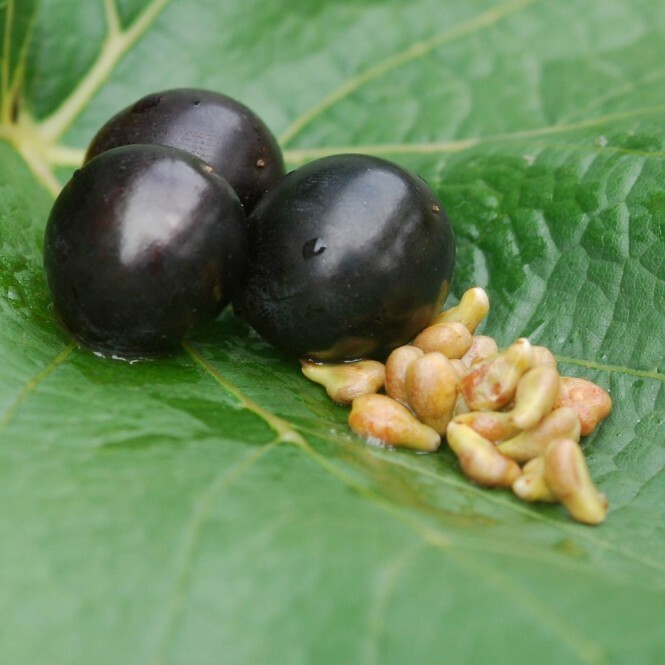 with CamuCamu by Dr. Michalzik M.D. Unlike to OPC premium, our OPC premium Plus contains CamuCamu extract as a source of natural vitamin C.
240 mg OPC minimum content measured directly in the grape seed extract. 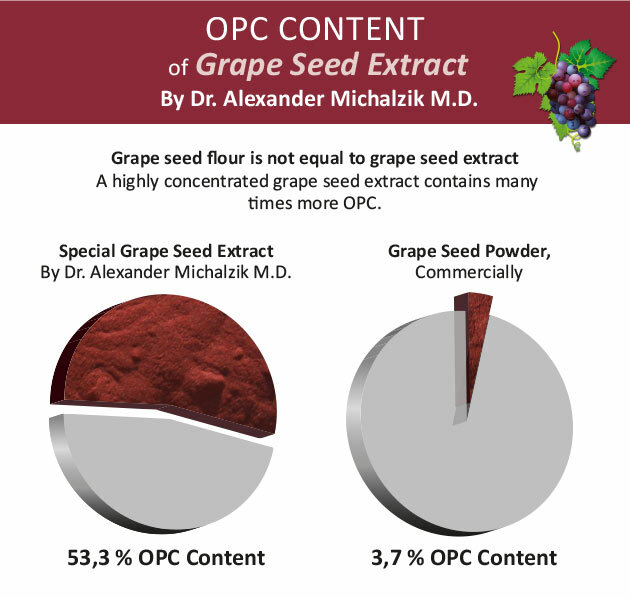 380 mg of total polyphenols per capsule from 450 mg grape seed extract. For order and for more information you can call us at the phone number +49 (0)6201-878380. 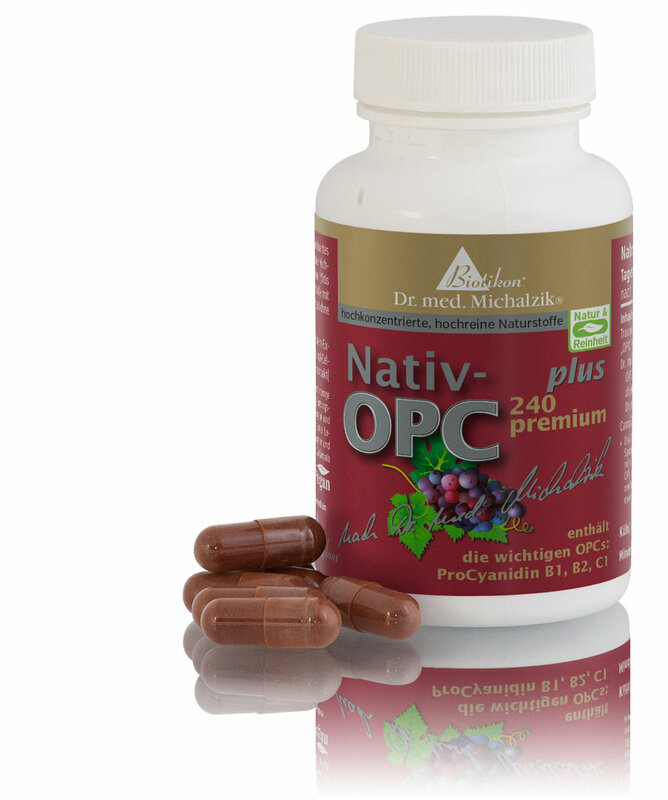 OPC Premium Plus by Dr. Michalzik is subject to strict examinations of German supervisory authorities. It is manufactured by use of gentle production technologies without heat or additives and without the use of processing agents which are not required to be mentioned on the packaging. 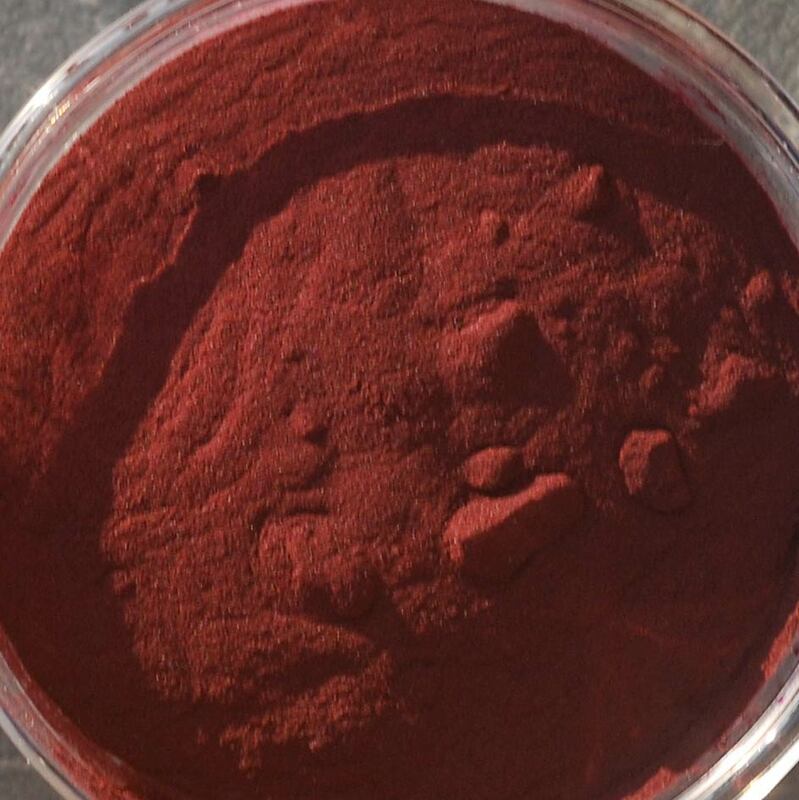 1 capsule: 240 mg OPC measured directly in the special grape seed extract (according to RP-HPLC method, test specification PV.03.P194_02. - test specifications are available at www.opc-traubenkernextrakt.de. CamuCamu is as vitamin-rich as Acerola and therefore an excellent source of natural vitamin C.
OPC are Proanthocanidins. 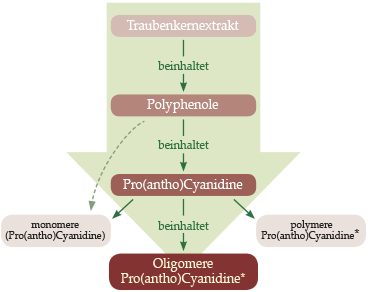 Monomeric proanthocyanidins are not added into the OPCs. Take1 capsule with a meal. 72 Native OPC 240 premium plus-capsules, each capsule contains 450 mg grape seed extract and 40 mg CamuCamu extract.